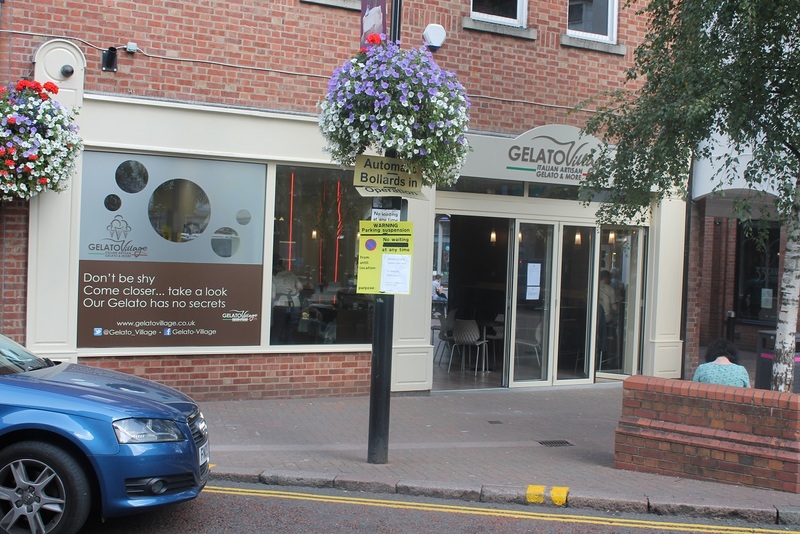 Many congratulations to Gelato Village in St Martin’s for gaining two star awards for three of its flavours in the Great Taste Awards. This is one of the most highly-respected of such schemes and only about 15 per cent of the awards are at two star level. The winning flavours were pistachio, hazelnut and almond and orange. Great to have such fine produce available our city centre. Good to see some food activity around St Martin’s Square in Leicester. Newly opened in what was once a hip clothes store is Gelato Village, an independent business offering “artisan gelato” – two words some will find tiresomely modish. But as far as I can tell, Gelato Village seems the real deal in term of offering genuine gelato (basically a slightly lower-fat, softer textured Italian-style ice-cream), that is hand made on the premises (you can see in the kitchen) and uses fruit from Leicester Market for its sorbets. There’s no artificial colourings, flavourings or preservatives and a refreshing absence of gimmicky flavours. You can try up to three flavours in any one of three sizes. I found the tiramisu maybe a little bland, but the Bonet – named after the famous Piedmontese desert with chocolate, amaretti biscuits, caramel and rum – and the sour cherry ripple were superb. It’s a proper treat, no mistake, and I hope they find people will eat good quality gelato all year round. I note also that a new fine food deli is set to open in the square – don’t know anything more about it and it looks a few weeks off yet. All this comes on top of St Martin’s Tea and Coffee seeming to be doing well after it’s transition from cookshop and to fully-fledged café and coffee roaster. It’s got a good vibe going there and I had a great doorstop sandwich last week with soft, pillowy bread and a feisty fennel salami filling. In addition Mrs Bridges continues to offer probably the best café food in the whole city – my brunch the other day of duck leg confit hash on sourdough toast was simply gorgeous.